The recommendations of the Department of Hussayni rituals and procession to revive the rituals of Ashura. 1- The members of the processions has to respect the time of prayer, and perform the prayer on time wherever they are. 2- The Hussayni processions have to respect their one-time scheduled timing according to the rite either Zinjeel or lamentation, to prevent congestion. 3- Adhering to all security directives and instructions issued by the competent security agencies and our department, to not give the opportunity to the enemies of the true Islam of Ahl al-Bayt (peace be upon them). 4- To prevent the entry of strangers to the processions of condolence during its march. To not carry any kind of weapon by the procession's organizers. 5- The management of the two holy shrines is not binding except to the timing and instructions issued by our department, and the procession official has to show the identity of the procession along with the legal documents when approaching the convoy to the main entrances before entering the area between the two holy shrines. 6- The procession official bears the security responsibility of his procession as well as the inspection of the audio equipment. One video camera is allowed into the procession and the photographer must carry a scarf or badge. 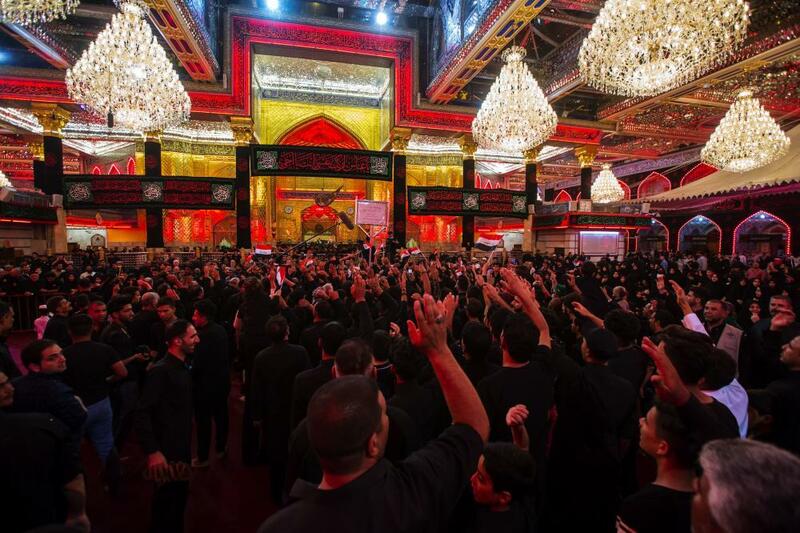 8- We ask the Radoods of the Hussayni minbar to commit to the time allotted for them to read the elegies inside the holy shrine (ten minutes), because of the multitude of processions and to avoid crowding. 9 - We ask all the Zinjeel processions and bodies to respect the time set for their arrival from 9 am to 3 pm; because the lamentation processions begin from 3 pm until midnight. 10 - The entry of horses participating in the Tashabeeh condolence is prohibited to the two holy shrines in order to preserve their purity and sanctity. 11 - After the dohr prayer on the tenth of the holy month of Muharram, the condolence ritual of Twayreej run begins. 12 - Commitment to uninstall the service tents after the 13th of Muharram. In the event of any emergency order (God forbid) we ask all brothers and members of the processions to withdraw from the main streets and allow the security forces to take the necessary measures.